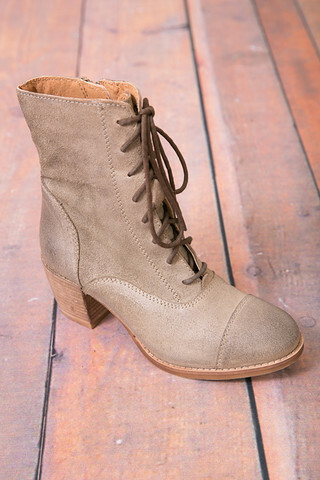 The Lets Go Crazy bootie by Seychelles is such a fun pair of shoes to wear for multiple occasions and seasons. 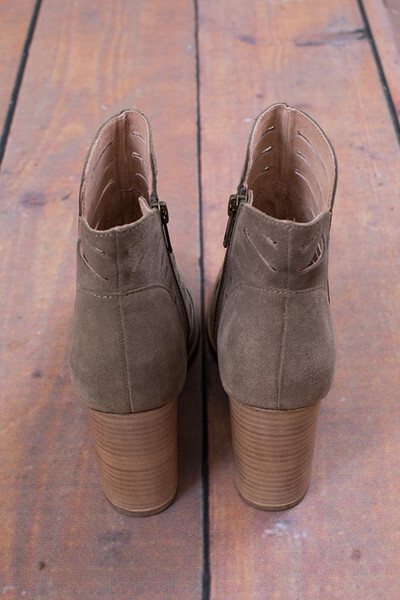 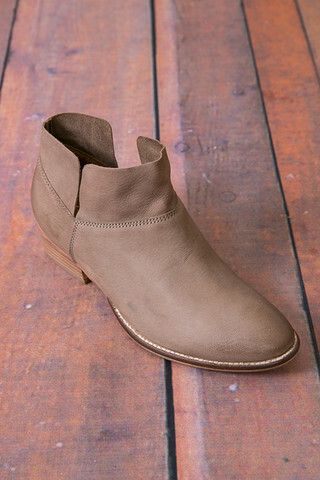 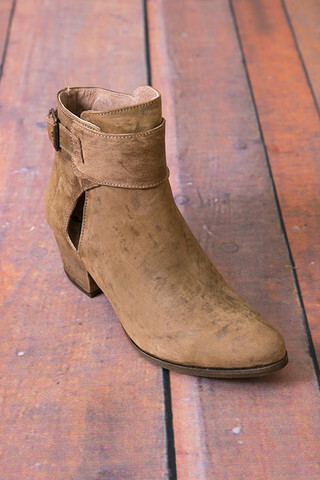 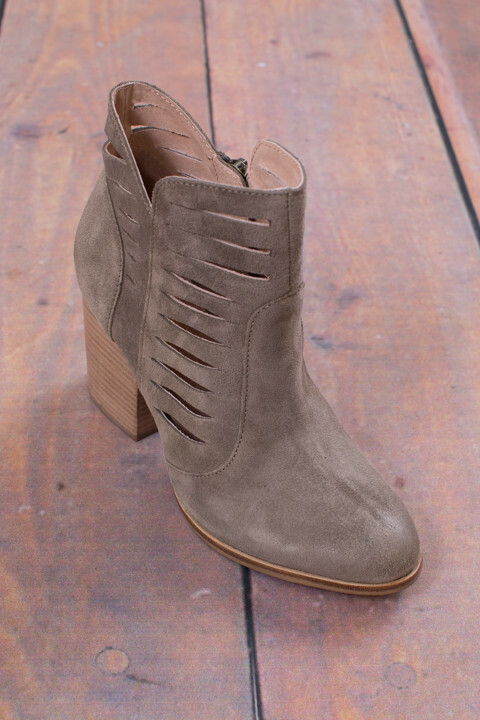 This bootie is made from suede in taupe and has a light brown heel. 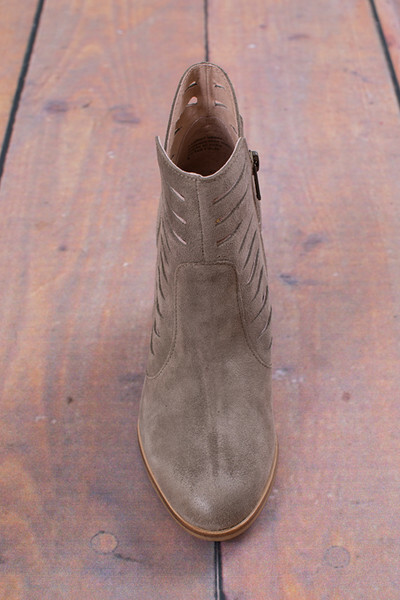 There are trendy cut outs on both sides of the bootie with a brass inner zipper closure on the side. 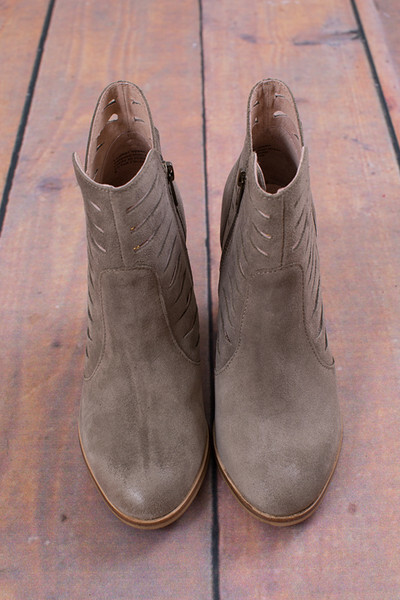 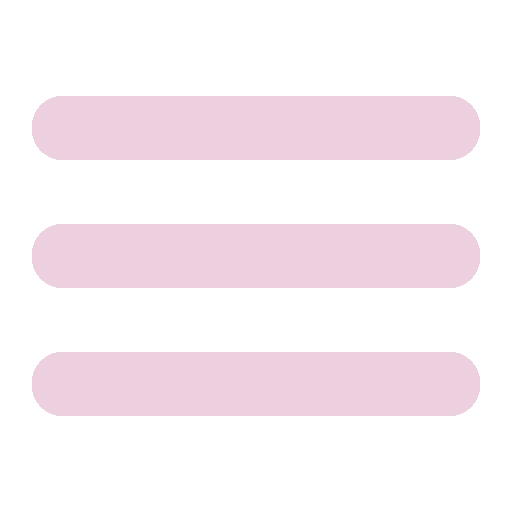 Pair them with jeans or a dress to have a complete put together look.